We went to Soon Lei again for lunch and this time I ordered their homemade Hakka yam abacus - 'suan pan zi' (算盘子) in Mandarin. 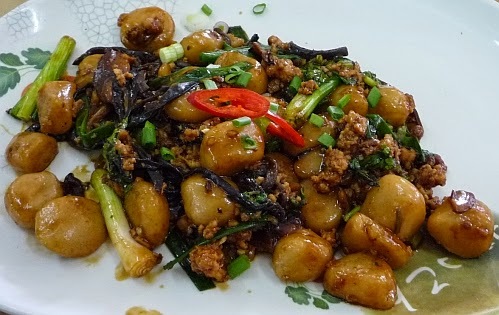 Stir fried with minced pork and lots of spring onions. I can detect the yam taste in the abacus. where is this place? So far i only know of "Ying Ker Lou" that serves this dish...it is hardly seen anywhere. This Soon Lei eatery is in Taman Kuchai Jaya which is between Kuchai entrepreneur park and happy garden. I know what is this but I've never eaten this before.. Never even been to any Hakka restaurant before too..I think I will like this coz I like yam.. I think you will like it too! This one looks more exciting than the ones I usually see, those my mom bought from the pasar. 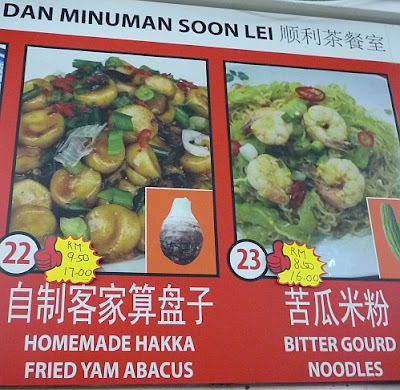 This one has more "liew" in it. Not bad wor, your pasar got sell this. I love this dish. Long time didnt eat it. Oh, I like this. Can't find this at many places....only the very authentic Hakka restaurants seem to have it. 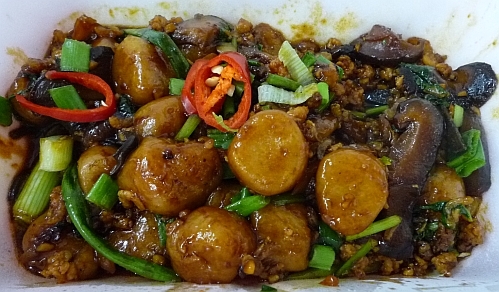 I only know of 3 places selling this in kl n pj - ying ker lau, soon lei and a stall in pj old town market. Maybe no hakka people in ipoh. I have tasted this before and I love it...I love yam. But now I don't know where to get in Ipoh. I love to eat yam too. 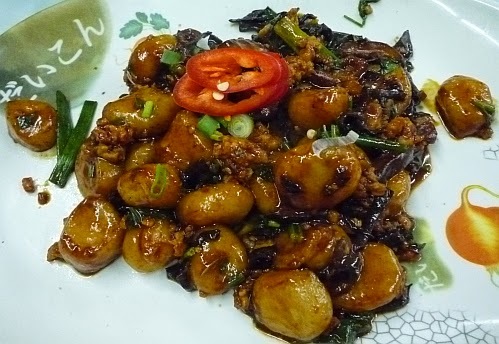 Sad to know not easy to find this dish in Ipoh.